ONE OF A KIND! Great location for your business. Gilded Era Victorian being presented as a 2 family owned property. 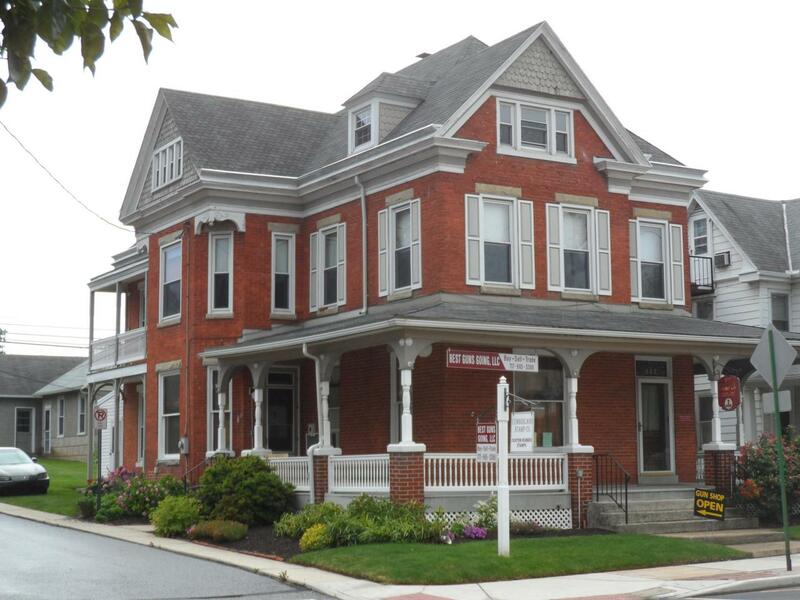 Rental incomes, First Floor Vacant office asking $650 mo., First floor Vacant office asking $850, 00 mo. upstairs rental $1,050. Other income, Garages are $250, $125, $90, & a Large storage unit $290 Commercial rental income $21,660. From 1897 until now the owners have maintained this magnificent building. Expenses Elec $1,696, Gas $2,941, W&S $1,547, Trash $658, Taxes $2,876, Ins $2,304 total $12,022, Income $21,660 Net Income $9,638. 1st floor has housed a Doctor's office and Real Estate office. Property has a maintenance free front porch. Upstairs balcony has a new mahogany floor. Left side office ceiling and trim has been replaced and looks superb, new post on side porch, and siding finished out on garage. Lots of original appointments thru out. Any upgrades have been very closely matched to keep the original integrity. Property is fully documented. Property being sold in its AS IS condition.